Volume 3, Edition 4	 Trouble loading? View this email online. 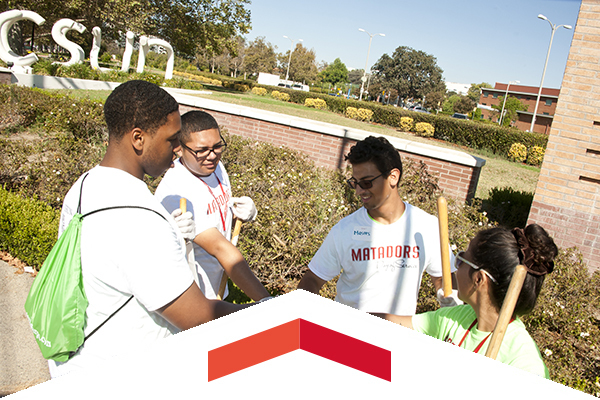 The first-ever Matadors Day of Service saw more than 250 students give back to the surrounding community through a neighborhood clean-up. CSUN students spent their first Saturday of the 2015 fall semester making a huge difference on campus and around the community. While celebrities such as Halle Berry, Lady Gaga, Jamie Lee Curtis, Jane Fonda, Emily Blunt, Benicio del Toro, Sarah Silverman and John Krasinski looked on, CSUN was awarded a $60,000 grant from the Hollywood Foreign Press Association to support students working on their senior film projects. 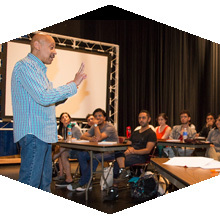 Tamara Romo’s dream came true this summer as one of 24 students from the Universidad Nacional Autónoma de México (UNAM) who enrolled in CSUN’s first UNAM Film Producers Workshop. Fri, Sept. 11, 7 p.m.
Come early for the pre-game Fan Fair, then bang your thunder sticks to energize the Matadors. Sat, Sept. 12, 8:30 a.m. The Constitution and Foreign Policy: President and Congress. 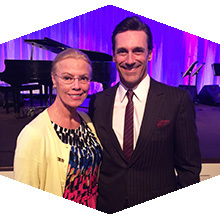 Thu, Sept. 24, 8 p.m.
Unforgettable evening of Broadway standards and Hollywood favorites. Join President Dianne F. Harrison as we kick off the 2015-16 Professional and Personal Development Program with a special session on “Being an Ambassador,” facilitated by Gigi McGuire. CSUN employees enjoy free access to Lynda.com and Skillport online libraries. Join us to learn how to access and maximize the benefits of each system, which offer thousands of opportunities to learn new — or develop existing — skills. Benefits open enrollment is right around the corner. Stop by the HR Benefits and Wellness Fair in the USU Northridge Center to learn about plan options, services and resources available to you and your family.